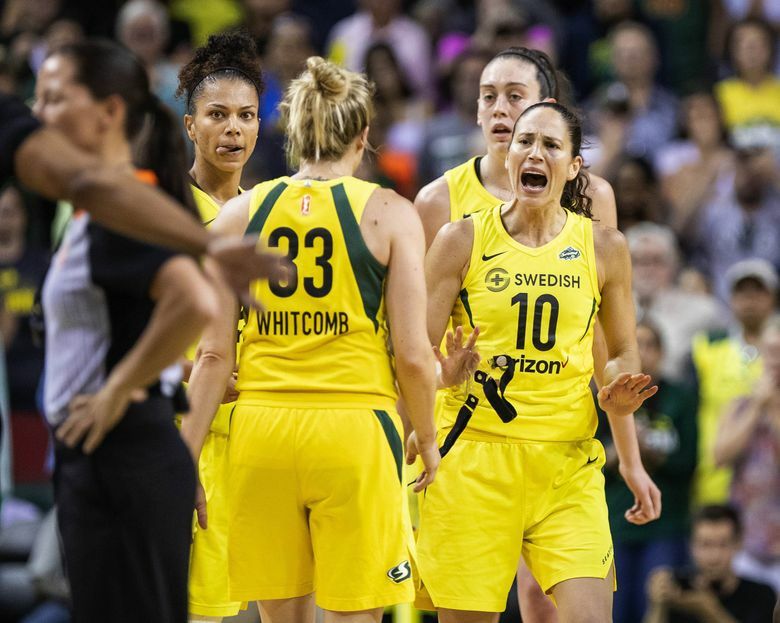 Sue Bird set the basketball world on fire on Tuesday night with a performance for the ages that propelled the Storm into the WNBA Finals. Watch her transcendent fourth quarter here, then see what some NBA greats had to say about it. Sue Bird electrified the crowd at KeyArena on Tuesday night with a masterful fourth quarter performance that she admitted was “up there” as one of the best fourth quarter big game stretches she’s had in her career. “I don’t know that I’ve had a fourth quarter like this in a big game in my life, to be honest,” Bird said after the game. Bird scored 14 of her 22 points in the final 5:48 of the game to break the contest open and earn the Storm a trip to the WNBA Finals against the Washington Mystic. Sue Bird in the 4th quarter. Bird’s performance ignited social media and earned her congratulatory tweets from a host of NBA stars who clearly appreciate game when they see it. @S10Bird you are INCREDIBLE!!! I hope you play forever! Go head and build a statue outside the key for @S10Bird she’s a legend in the town!